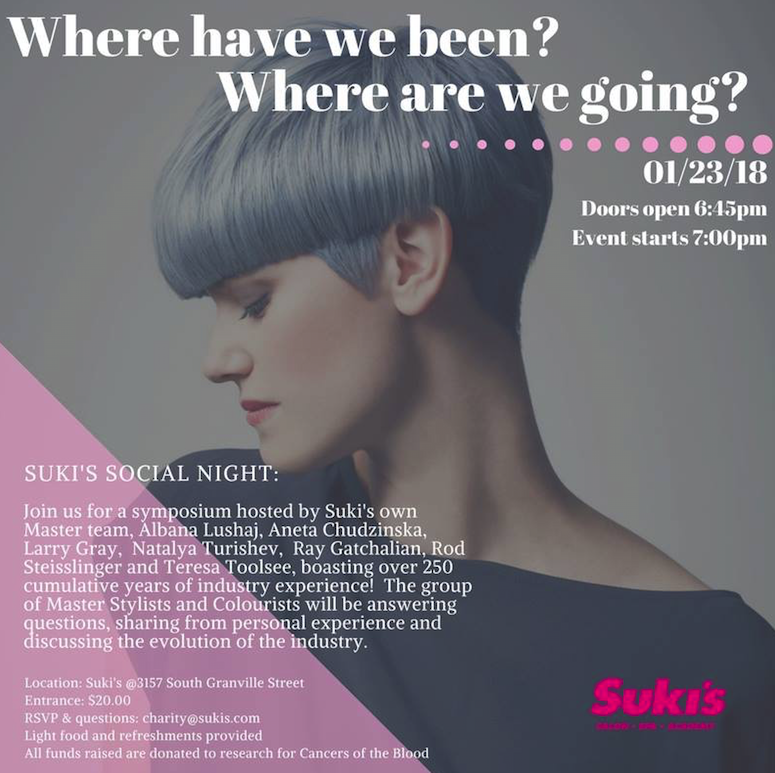 We are so excited to announce our first Social Night of 2018 includes an insane roster of talent in the form of Nail AlbanaLushaj, Aneta Chudzinska, Larry Geewiz, Natalya Turishev, Raymond Gatchalian, Rod Steisslinger, and Teresa Toolsee!! This will be our first ever symposium that is streamed live! We encourage open dialogue and questions to be asked. Or you can send them in advance to charity@sukis.com. As always 100% of the time is volunteered and 100% of the proceeds raised will be donated to Cancers of the Blood Research at the VGH & UBC Hospital Foundation!